TMBR Toys has really done something amazing with their newest model, the Sullivan. 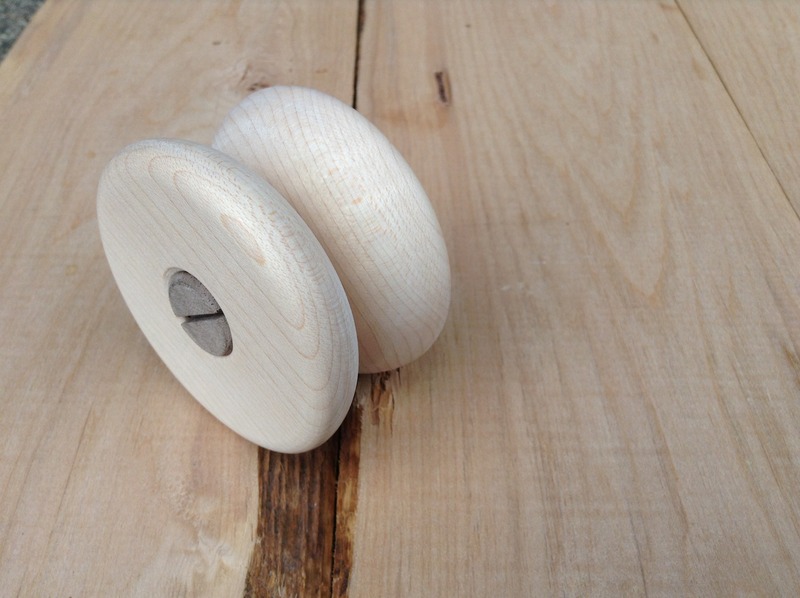 Each yoyo is only five pieces, and is 100% wood. No screws or threaded metal bits, no after-market parts…just three pieces of wood that assembles in the most delightfully obvious and simple way, leaving the player with three configuration options. We’re big fans of Colin’s work in general, but this is absolutely some next-level fixie goodness here. Sullivans are available now at TMBRToys.com for $40 each. 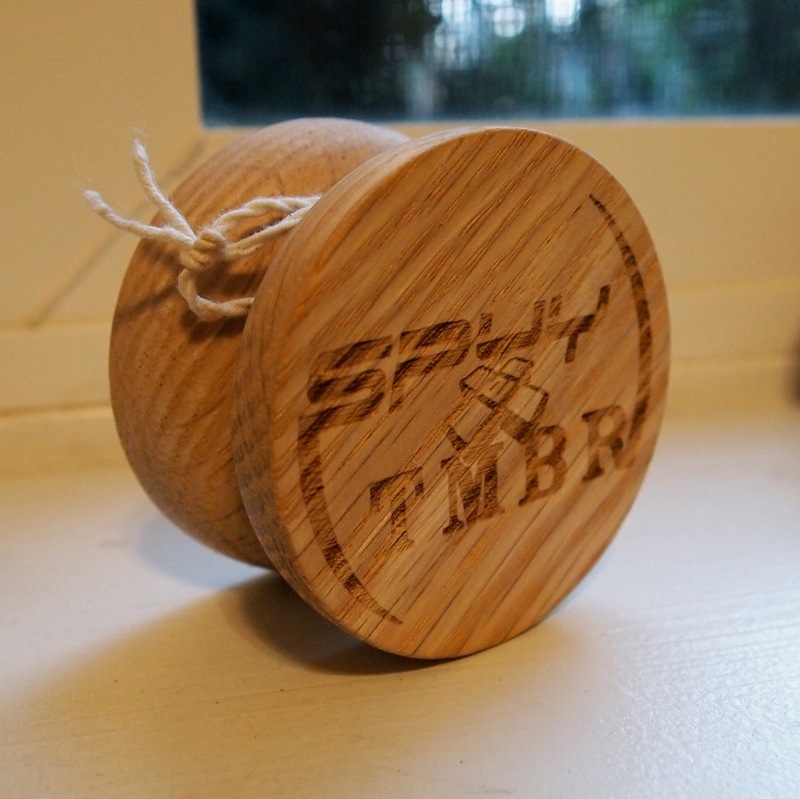 TMBR Toys has a new model of hand-turned wooden yoyos available, the Turner! Round and classic, but I don’t want to say “old timey”. Turner’s gap is tall and straight, with a small cutaway to give a similar feel and catch like Baldwin, but a bit more stable on a trapeze. 58 grams 2-1/4″ diameter 1-3/8″ width 1/8″ gap Standard walnut axle and cap. 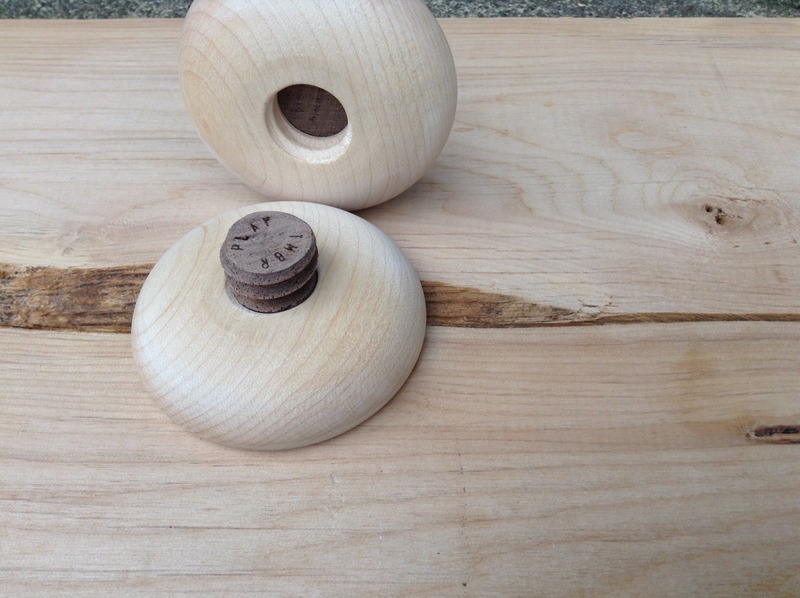 *Exotic wood axle and cap are now available* Peace! Love! Wood! 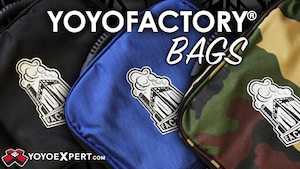 Available online at PlayTMBR.com for $35 – $45. Happy Friday, fixed axle freaks! For today’s exploration, I wanted to get into an element I find myself using all the time, and which should be in any fixed axle player’s arsenal. I have no idea if other people have different names for them, but I call them “snap-stalls”, so that’s what they are today. Boom. If you’ve spent any considerable time throwing wood, you know you’re going to have to restart. A lot. If you have to rewind like a novice every time, it gets old really quick. I don’t care what you say about thumbstarts or those awkward push-off-the-hand-rolly-things that some kids do… the snap-start is the absolute raddest way to wind a dead yo-yo. For the purposes of this article, I’m kind of going to assume that you’ve got them wired. If you don’t, it’s exactly what it looks like (another reason I love them): you put your thumb near the bottom and your middle finger near the top, and you give the yo-yo a snappy little torque, causing it to spin. If you’re doing it right, it makes a sound just like snapping your fingers. 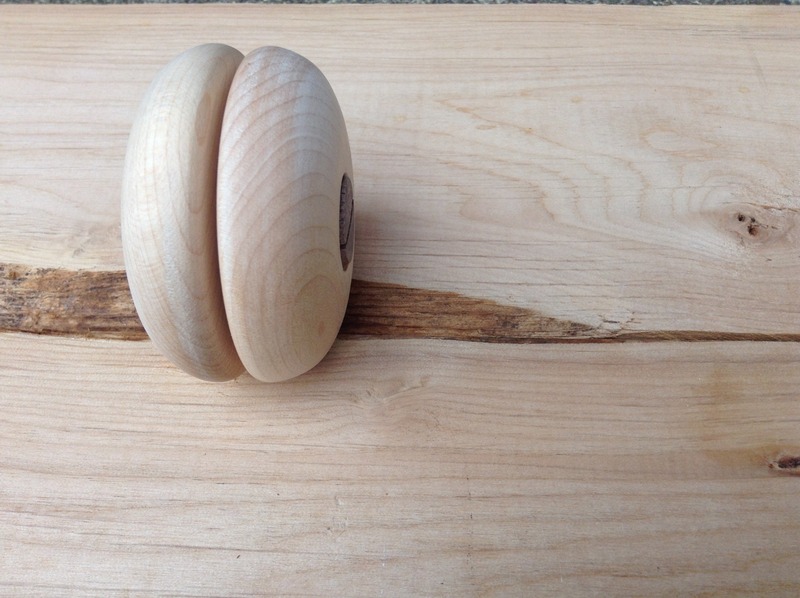 Practice with a smaller yo-yo, and just work up your snap-start-sleepers. With a bearing yo-yo, you can snap into tricks like Spirit Bomb, Kamikaze, or Rancid Milk and get it back to the hand. It just takes a lot of snaps to build up your strength. Anyway, while throwing nothing but wood last year, I messed up A LOT. I probably snap-started 100,000 times in 2012, easy. The more you do it, the more it feels natural to just integrate as another aspect of your play, right? I mean, snap-start is a trick. Duncan demonstrators in the 50’s used it to dazzling effect on stage. Years ago, Steve Brown showed me the basic one-hand snap-stall, and I’ve pretty much spent the intervening time figuring out as many variations as I can. The first trick in the video is probably the easiest version of snap-stall. Holding the yo-yo to the side with your throw hand, give it a snap and allow it to wind back toward your freehand to land in a basic trapeze/frontmount stall (I’m actually landing it on my middle finger, pointed back toward my body, but pointed out works just as well). This will feel weird at first, and can be kind of hard to catch, but stick with it. It helps to a HUGE degree to keep your freehand in contact with the string (even if only lightly) as you snap. This helps take care of tension issues, AND it gets your hand near the right place for making the stall work. Regen out of that stall any way you want, throw your yo-yo on the ground, and book your tour of the Baltic states, rockstar. 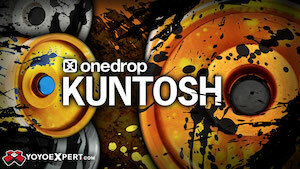 Or do the next trick, which looks a bit cooler, but isn’t really any tougher. Instead of catching the yo-yo in a freehand trapeze stall, try to snap the yo-yo straight up and let the string tighten around your throw hand thumb, catching it in a little chopsticks stall. This trick looks extra-great when you put your free hand in your pocket or use it to fluff your goatee. Regenerating out of it can feel wonky, but like any stall, you’re just throwing the yo-yo back out the way it came. In the third variation, I’m snapping up and then doing a quick inside loop. As the yo-yo comes back, you’ve got to turn that freehand over and catch on the underside of the same sort of chop-catch you do in the 2nd example. This one is disconcerting, because the yo-yo is coming back close to your noggin, but remember: the string is attached to your hand – that’s where the yo-yo wants to go. In the vid, this variation ends with another move I like a lot. My daughter calls it the “double trick-flip”. Basically it involves throwing a trapeze stall over like a suicide, and then letting the string play out while the yo-yo unwinds and rewinds in space. I know I go on and on about spin direction, but if you do the math (which in this case, is literally just binary), pretty much every imaginable hold can be worked out into a stall, whether the spin was originated in a typical throw OR from an unwound position. It really makes you think about “plus-style” in a whole new way, as you basically have “positive” and “negative” stall holds which conform EITHER to clockwise or counter-clockwise spin. 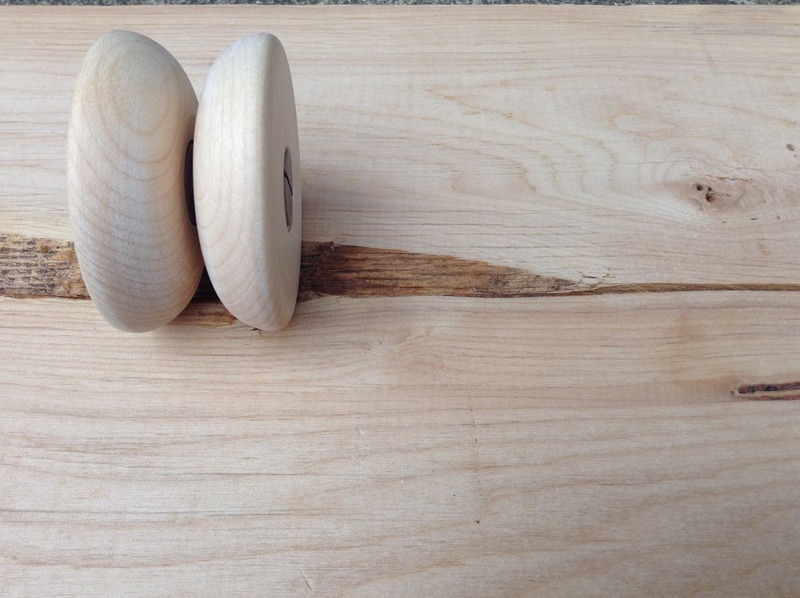 The idea that a yo-yo trick needs to begin wound is silly anyway. Now get outside, get into nature, and make your own discoveries.